W. W. Norton & Company, 9780393088601, 304pp. It's the fall of 1977, and amid the lovely, leafy streets of Cambridge a young Harvard graduate student, a Jew from Egypt, longs more than anything to become an assimilated American and a professor of literature. He spends his days in a pleasant blur of seventeenth-century fiction, but when he meets a brash, charismatic Arab cab driver in a Harvard Square caf , everything changes. Nicknamed Kalashnikov--Kalaj for short--for his machine-gun vitriol, the cab driver roars into the student's life with his denunciations of the American obsession with "all things jumbo and ersatz"--Twinkies, monster television sets, all-you-can-eat buffets--and his outrageous declarations on love and the art of seduction. The student finds it hard to resist his new friend's magnetism, and before long he begins to neglect his studies and live a double life: one in the rarified world of Harvard, the other as an exile with Kalaj on the streets of Cambridge. Together they carouse the bars and caf's around Harvard Square, trade intimate accounts of their love affairs, argue about the American dream, and skinny-dip in Walden Pond. But as final exams loom and Kalaj has his license revoked and is threatened with deportation, the student faces the decision of his life: whether to cling to his dream of New World assimilation or risk it all to defend his Old World friend. 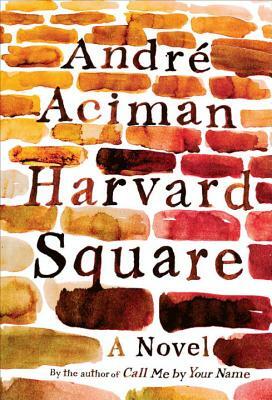 Harvard Square is a sexually charged and deeply American novel of identity and aspiration at odds. It is also an unforgettable, moving portrait of an unlikely friendship from one of the finest stylists of our time.